Muscatine is situated on the banks of the Mississippi River in East Central Iowa. Visitors first notice Muscatine’s spectacular river views, but then find there is so much more to see and do. Whether you are going to spend the day simply sightseeing, or are planning a once-in-a-lifetime event, the Muscatine Convention and Visitors Bureau is eager to assist you in the process. Our services are provided free of charge to both visitors and residents. The Muscatine Convention and Visitors Bureau invites you to “Visit Muscatine” and discover for yourself why this “Pearl of the Mississippi” is a real gem! 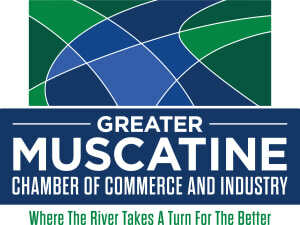 For information about tourism and visiting Muscatine, please direct your questions to Jodi Hansen, the Convention and Visitors Bureau Director.